I’m sure many of you know what I’m talking about when I moan, “Internet Guilt.” Imagine that in a creepy font dripping with icicles and/or blood. Sometimes when I fire up the computer, it’s really, really hard to stay off the internet. I wonder if old-fashioned writers ever had that problem – they sharpened their favorite pen and set up their ink and paper with the best of intentions, and wound up writing to their aunt. Or their sister staying with their aunt. Or their sister’s dog who was staying with their aunt’s children. I’m not going to argue for either side of the teeter-totter. All play and no writing is obviously not good for a writer. Nothing gets written. But on the other hand, all work and no internet is boring. And I would argue that it is bad for the writing – we need outside input in order to create texture in our writing, and the internet is one of the easiest ways to get input of all sorts. The trick is to find the work/play balance somewhere in the middle of the teeter-totter. It’s no secret that we here at Eight Ladies are fans of Jennifer Crusie, and her blog is full of excellent advice and encouragement for writers of all levels. Right now, Jenny is at the discovery stage of her new story, so the advice is particularly relevant for me. And it’s not only Jenny’s great advice, but her community of commenters is full of really thoughtful, helpful people as well. So, I’m reading, feeling very guilty and totally recognizing the “rah-rah, get it done” cheer that Jenny is performing on this post, when I get to the comments. And there I see a discussion about writing a self-evaluation. Bridget gives some most excellent advice, and I stop. I have to re-read it, because this looks like the magic bullet. “Of course you can make it up,” Bridget writes. Whoa! I know I’ve got 60 percent of what I need to write this scene! And I’m pretending to be a man anyway. I scratch my metaphorical balls. I thanked the ladies for their insights, and sat down and wrote the plot outline for the short story. Now I’ve got 70 percent of the story! See? The internet can be quite useful! So, where do you go on the internet for some outside input? I enjoy blogs like Jenny’s, and also Pat Wrede’s writing blog. I listen to podcasts like Pop Culture Happy Hour and the sadly stalled SF Squeecast (podcasts are still available, and evergreen, so they are as useful now as they were when they hit the internet). YouTube is invaluable for interviews as well as music for playlists. And Google Image is great for the times when my subconscious is trying to tell me something, but can only squeeze out a word or two. Now, back to some writing! This entry was posted in Inspiration and tagged #amwritingnow, Bae, Google Image for writers, Jennifer Crusie, Michaeline Duskova, Nixie Voss, Pat Wrede, Pop Culture Happy Hour, procrastination, procrastination and writing, procrastination isn't all bad, SF Squeecast, YouTube for writing. Bookmark the permalink. ← Elizabeth: Friday Writing Sprints – Spring has Sprung! I’m in the discovery stage too, so I’m really enjoying Jenny’s posts, and finding them really useful. I find the Romance University blog helpful, too. I love Ilona Andrews’ blog, which is a mixture of daily life, writing stuff, snippets, and a weekly instalment of her new Innkeeper Book, One Fell Sweep (so far, break out the squee cannon). I really like Kristine Kathryn Rusch too, though I have to swing by there manually – I can’t get the widget to let me follow her blog – for some reason it doesn’t like me 😦 . Apart from that, many of the blogs I follow are more about publishing – Janet Reid’s blog, The Passive Voice, Writer Beware, The Creative Penn, that kind of thing. Those sound great! I do like a writing blog that’s not just a writing blog. It seems more like story-telling. I always feel like I *should* follow more blogs, and yet I never do because it’s so easy for me to fall down the Internet rabbit hole and never come up until about four hours later, when my writing time is up. I do go to others’ blogs when it’s time for me to write a blog post, because I get heaps of good ideas and sparks. (Chuck Wendig, I’m looking at you.) But otherwise, I limit myself to Jenny’s blog, which I read faithfully. And while I love it when she posts, and especially now when she’s evaluating both TV and her own work, when she doesn’t post, I get a lot more done. (-: I can sympathize with this, Kay. I kind of feel like an enabler with this post, but the thing is, good input can sometimes result in very good output. There’s got to be a balance, and I’m still discovering it for myself. 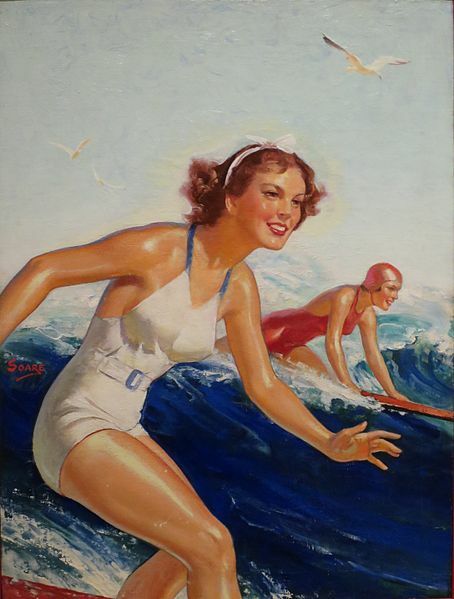 Maybe when I’m doing OK with the writing, I should promise myself an hour of surfing AFTER the daily writing is done. When I’m not doing OK with the writing, the internet is like opium. It calms me down, it makes me feel like I’m doing something when I’m doing nothing, and it’s easy to abuse. Oh, yeah, I am so love/hate with the internet. I have found the internet to be both a blessing and a curse. It can take a lot of time that would be better spent elsewhere, but just when I think I should stop cold-turkey, I encounter some random thing that is just what I need for my story or that I can build into a blog post. I follow a handful of blogs – Jenny, Chuck, a couple of other writers and a few Regency related ones, but I don’t always get to read them on a timely basis. There is just so much out there. Like potato chips, it’s hard to stop after reading just one or two. I like Chuck a lot, too. There’s that Two Nerdy History Girls one, too. I adore the multiple links! But I need to block out quite a bit of time. It’s funny how little some things change in the world, so even if I’m writing in a different time era, I still like going there to pick up some random ideas. One of their recent posts is about a tightrope walker from Bunny’s era!